"37 years ago today, the Kingdome opened for business. 13 years ago yesterday, it was destroyed. Seattle finishes paying it off in 2016." What a sad and strange epitaph for what was once the crown jewel of downtown Seattle. The King County Multipurpose Domed Stadium was originally conceived in the 1950s, but public funding for the massive building was voted down several times (sound familiar?). In 1968, however, King County voters finally approved $40 million dollars in municipal bonds to pay for the dome, which began construction in 1972 and would be finished four years later. 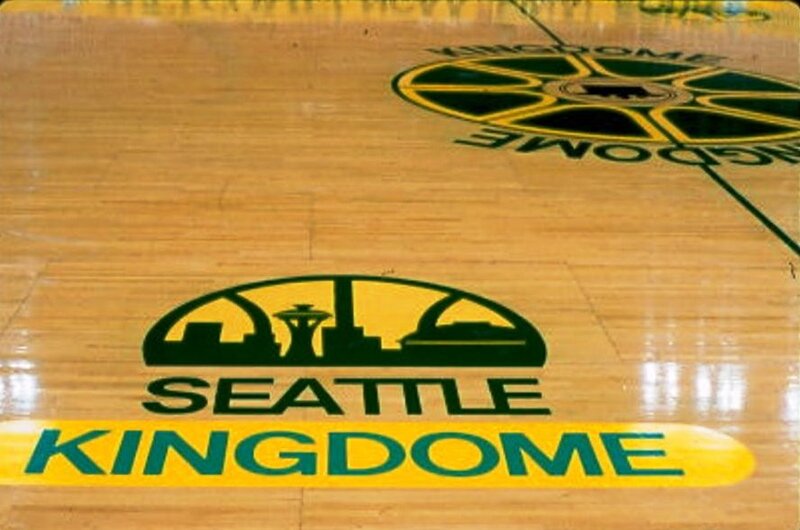 Every major Seattle sports team called the Kingdome home at some point. 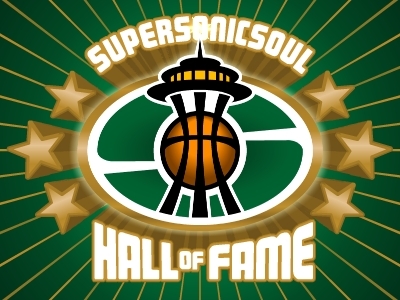 The Supersonics moved in at the start of their 1978-79 championship season and led the league in attendance for two years in a row. On April 15th, 1980, in a home playoff game against the Bucks, the Sonics set an NBA single-game attendance record with 40,172, the most ever to watch a pro basketball game at the time. The Kingdome also brought the NFL Pro Bowl and the NBA and MLB All-star games to town, along with the Final Four in 1984, 1989, and 1995. This was a very big deal back in the dark ages of Seattle, when we were only known for Bigfoot and Ted Bundy. Over time, however, the novelty of watching sports inside a giant cement tomb wore off. As most Seattle teams declined in the late 80s, so did attendance. The Dome, run by King County, was not maintained very well, as anyone who ever had to use the bathrooms there can attest. The Kingdome wasn't all urinal troughs and sticky floors, of course. The Seahawks had some great moments there (though they were mostly great for the other teams). Edgar Martinez had the most important hit in Mariners history in the dome. Pete and I even played in marching band during the halftime show on Monday Night Football there (Sorry ladies, we're already taken). And of course there was the annual paper airplane contest and the time that crazy guy flew a plane inside the dome. In the mid-90s, though, the roof started to fall appart, giving the Seahawks and Mariners owners a perfect excuse to extort the city for new, single-use stadiums for their teams. Maybe if the Sonics hadn't moved out in 1985, they could have gotten a new stadium too. It was too late now, though. The Kingdome was now the city's largest abandoned building. Its empty grey shell looked like the stripped-down ruins of an ancient civilization. And on March 26, 2000, a day before the 24th anniversary of the Kingdome's grand opening, they blew it up. So happy birth/death day to the Kingdome, the best and worst Multipurpose Domed Stadium we ever had. Everytime I drove into Seattle I would always randomly end up at the Kingdome. It was always quite an impressive structure and it was almost shocking to see it blown up. When I was a kid, emerging from the tunnels to the stands and seeing the enclosed environs within the dome always took my breath away. My dad worked at the architecture firm that designed it. When I asked him how he felt about it being demolished, he just kind of shrugged, like "whattaya gonna do" ambivalence. Yeah, it's hard to describe how utterly MAMMOTH that place was. I remember being on the field and getting dizzy looking up. 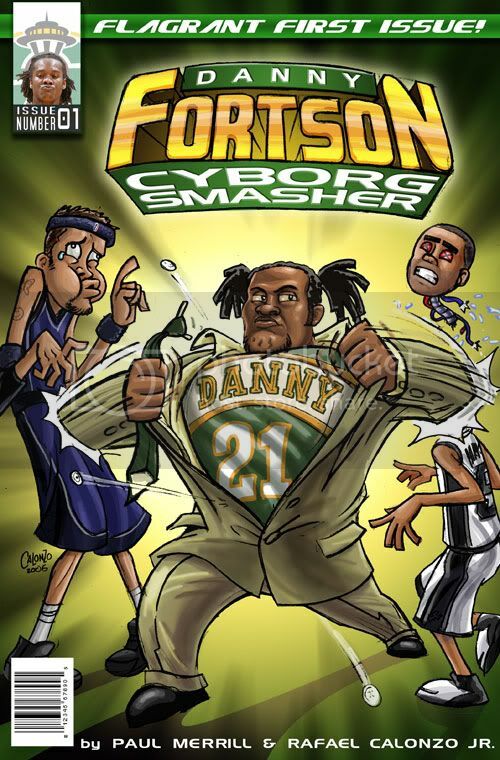 Even though it wasn't ideal for sports, it was so iconic I wish they could have kept it in some capacity. World's biggest skate park? Indoor skydiving? Note the blue floor from the Coliseum, with the Kingdome's scoreboard in the background. That game set the NBA attendance record, broken a couple of years later by that gave vs. Milwaukee, as mentioned. Wow, thanks for that link! I didn't know that about the floor--or about that book! Will have to check it out.